And here is one more stitch you can use for working dimensional flowers! 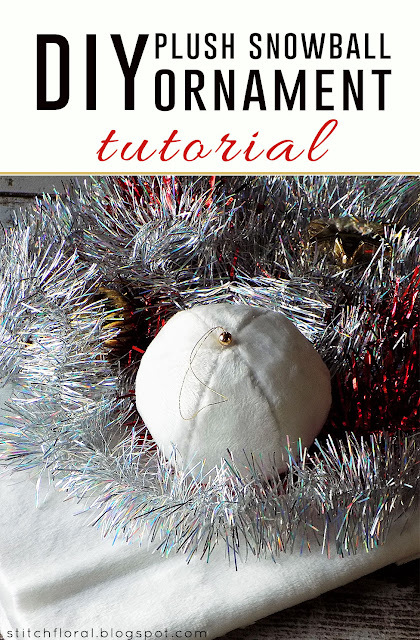 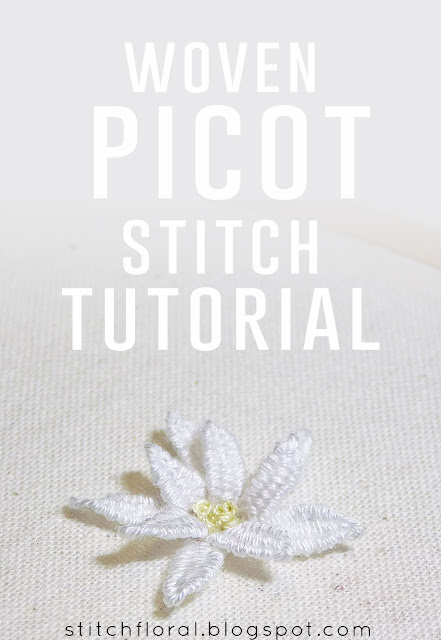 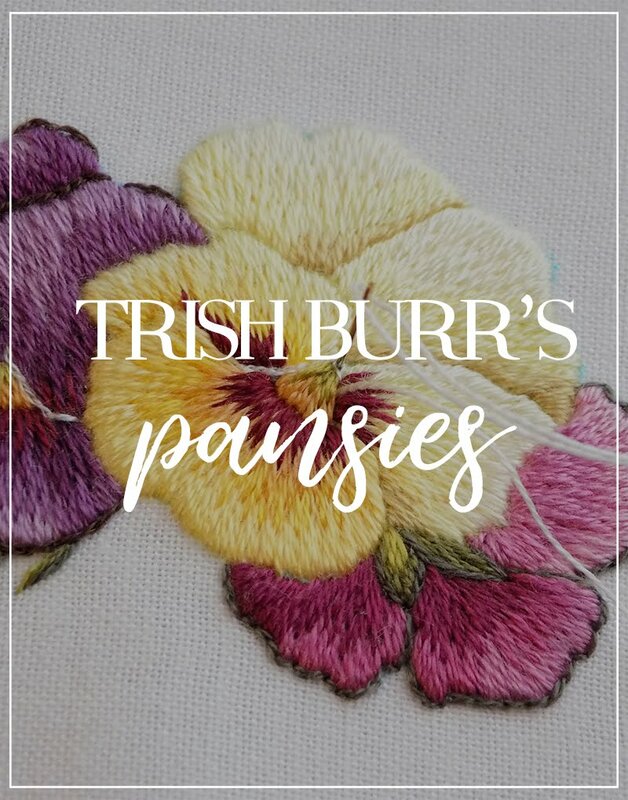 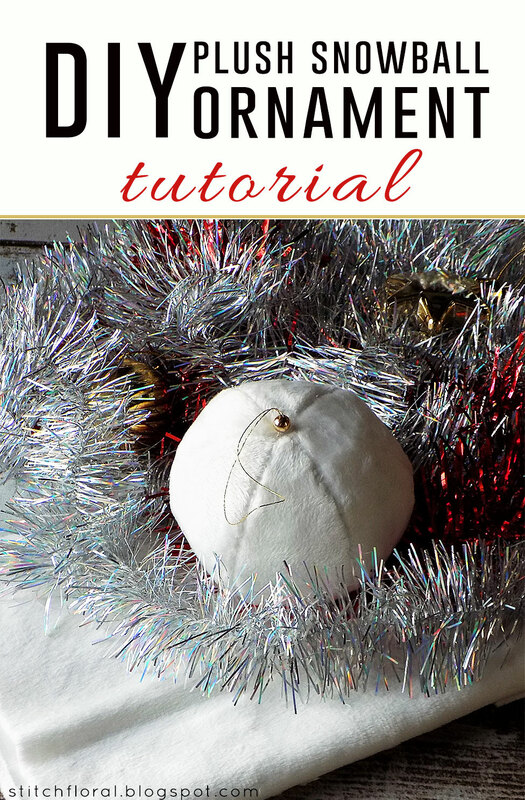 Let's continue learning how to stitch dimensional flowers! 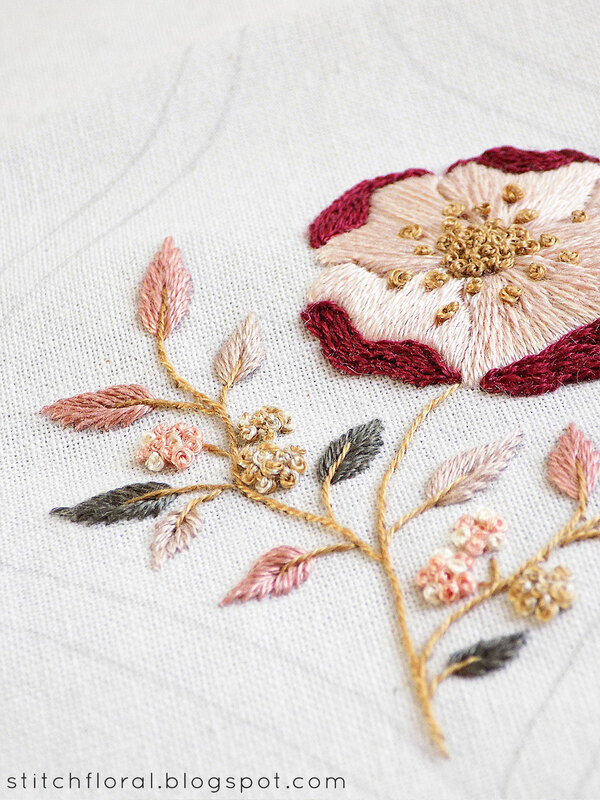 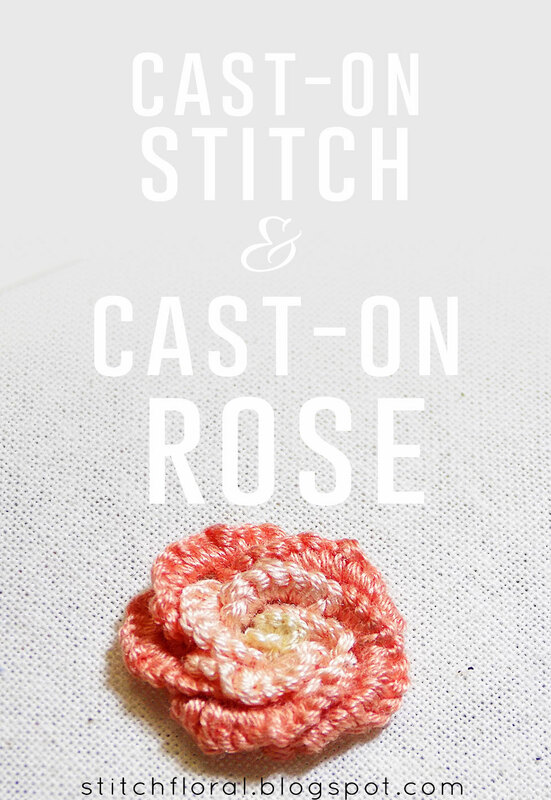 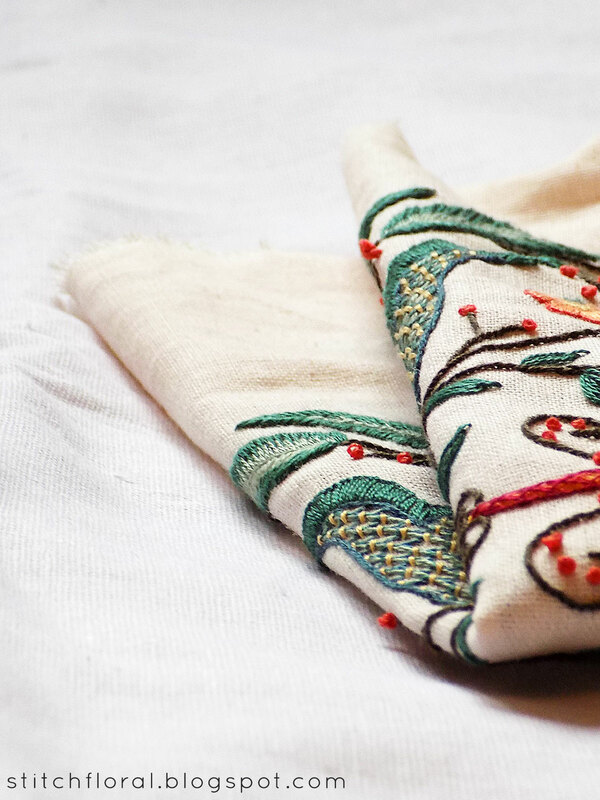 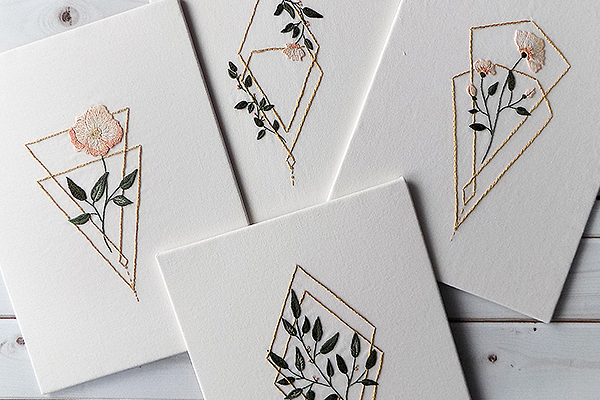 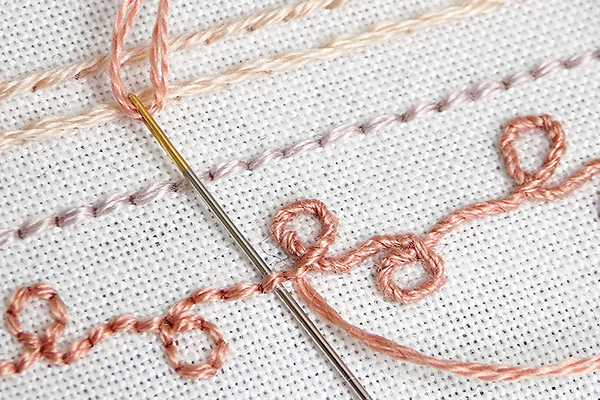 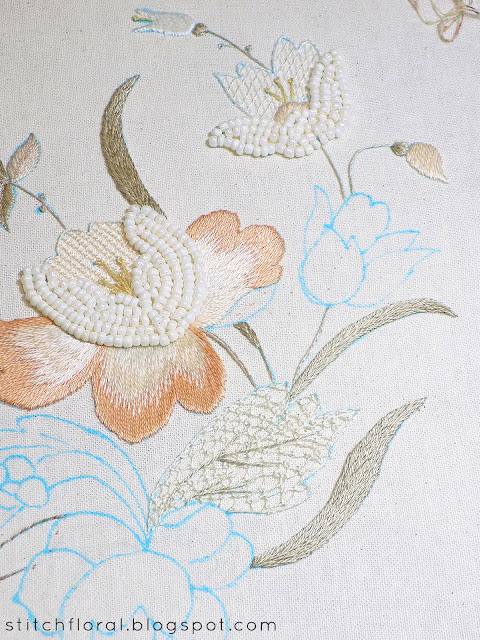 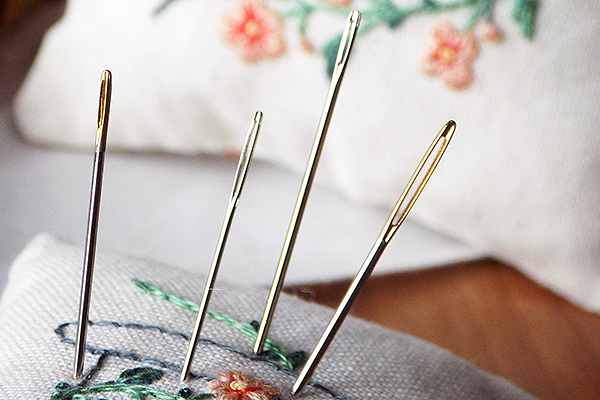 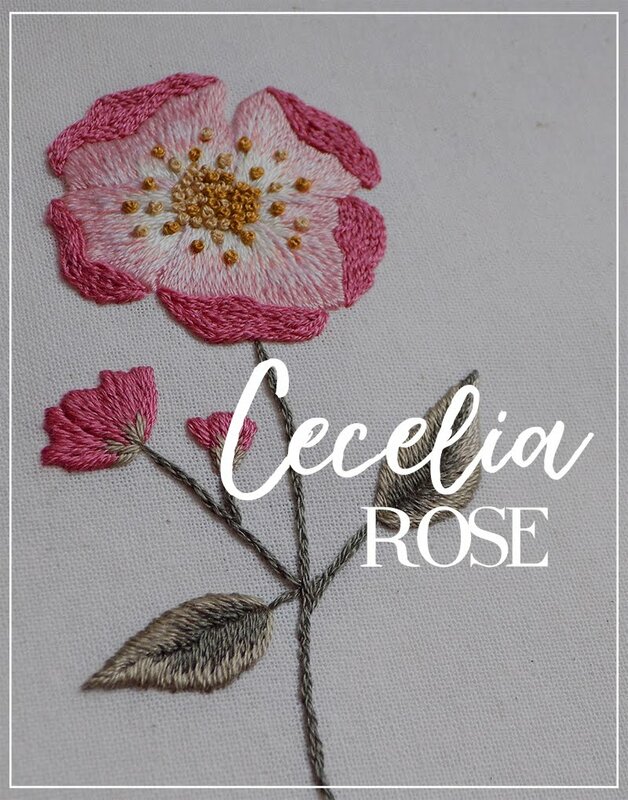 This time we will take a look at cast-on stitch and how to use it to work pretty floral motifs. 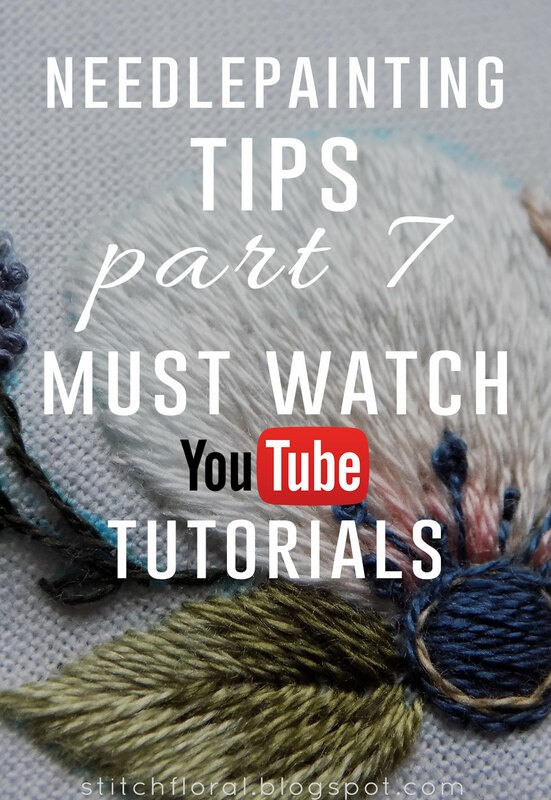 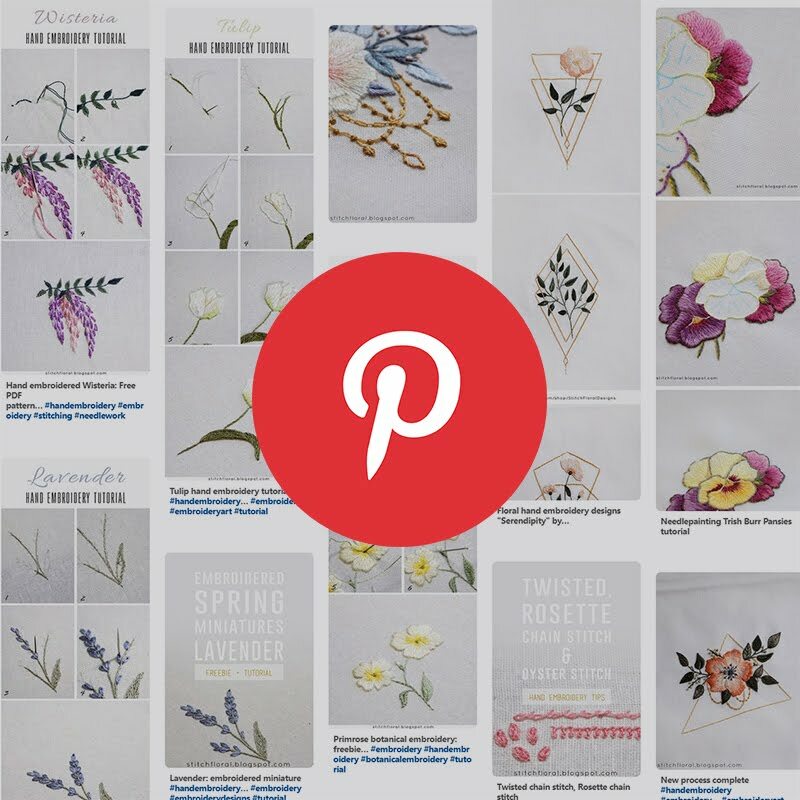 Before I come back with some more specific needlepainting tips, I thought I would drop some Youtube links here which I find helpful and some of which I actually used when learning long and short stitching. 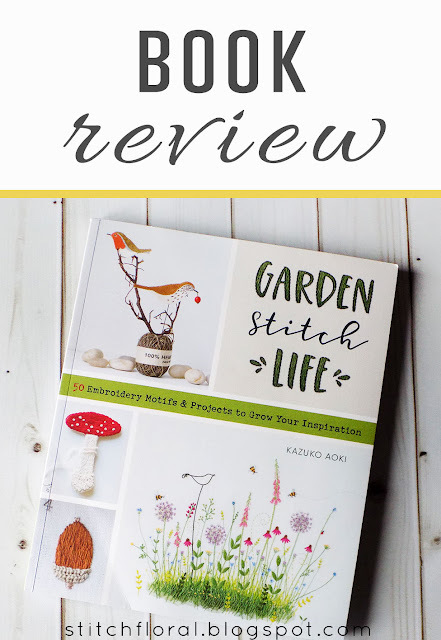 Today I'm a happy girl because I finally got my hands on one of Kazuko Aoki's books! Although this post is titled as a “review” be prepared to a certain dose of fangirling... 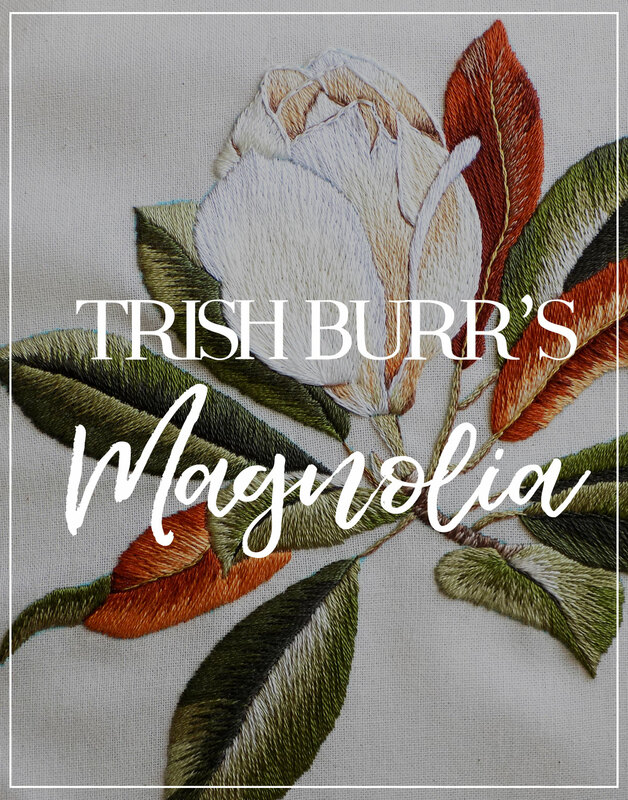 I will try to contain myself though! 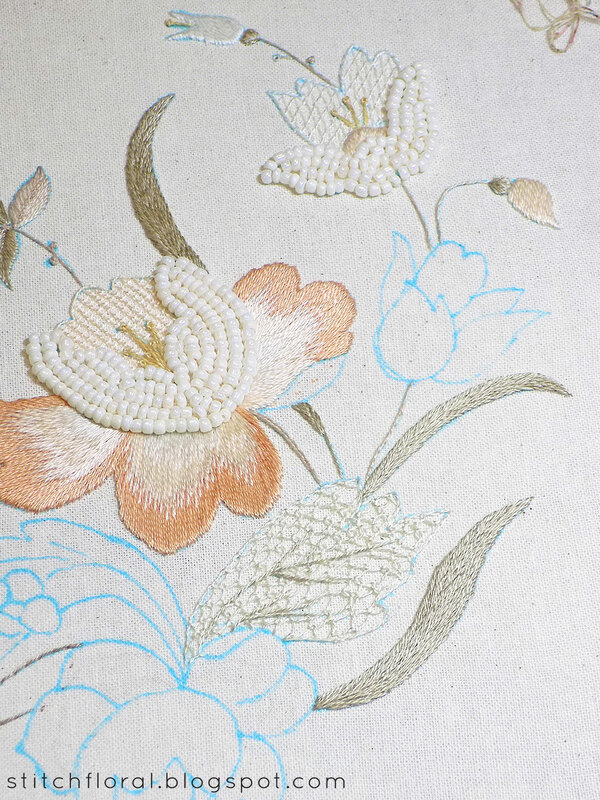 November's already crept up without me noticing! Time truly flies fast. 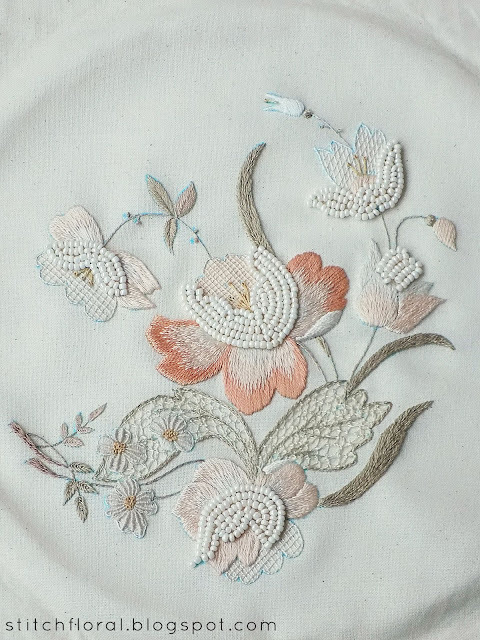 Anyway, today is a good day to remember what went on on Stitch Floral through the past month and also to share my progress with the new piece!